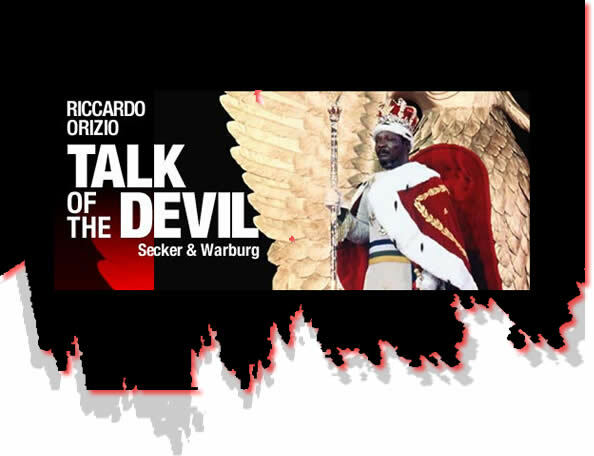 "Talk of the Devil is first a book of working journalism; the best story here is Orizio's own. His pursuit of clues and clandestine appointments with shadowy figures is at least as interesting as what the former tyrants have to say, sometimes more so. (...) The result is fascinating as a resource but curiously lightweight, despite the colourful cast of historical figures." "By removing its subjects from any wider historical/international context, Talk of the Devil leaves the impression that the personalities and foibles of these tinpot tyrants can explain events." "Orizio had the interesting idea of tracking down all the disgraced former dictators he could find and interviewing them. The result is by turns eerily comical, horrifying, ridiculous, depressing and just plain strange." "Insofar as any abstract point emerges from this book of the kind that might interest a political scientist, it is the banality of power and it holders. (...) One reads this book with a slightly shamefaced absorption." "And so what Orizio's book really illustrates is the banality of denial. (...) But the heart of the matter remains the evil these men first committed and then denied; and on that subject, the heart of darkness of most of these stories, this elegant and entertaining book has little light to shed." "But a question less frequently posed, and more suggested by this slight but enjoyable book is why, for people lucky enough not to live under dictatorships, are dictators almost pornographically fascinating ? In form and style, Orizio's artfully constructed chapters resemble nothing so much as the celebrity profile." 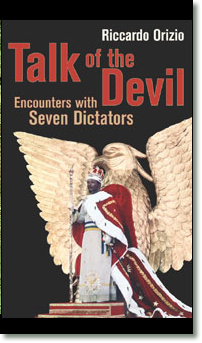 "This might be darkly interesting, but Orizio's actual "encounters" are often brief and padded out by lengthy how-I-managed-to-get-to-the-dictator preambles. (...) Tracking fallen tyrants down to the remote locations where they see out their lives, he finds himself only joining the ranks of those to whom these men and women have dictated."